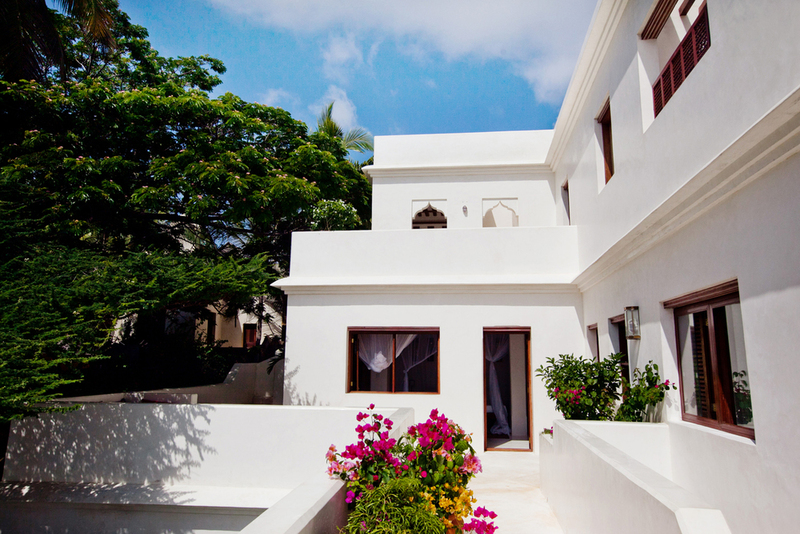 Built in authentic Swahili style, Forodhani House is a large whitewashed villa situated on a 12km stretch of pristine white sand on the beautiful island of Lamu. With four double bedrooms and a fifth bedroom with three single beds, the house can accommodate up to 12 people. All bedrooms have separate en suite bathrooms, a shaded terrace and an ocean view. The ground floor consists of one big kitchen, a beautiful dining terrace, a pool which stretches between a lovely garden and the ocean, a large open lounge area. The house is beautifully furnished with hand-woven rugs, light curtains, antique coffee-tables and old chests. There are 5 staff members to cook for you, pamper you, and take care of anything you might need! 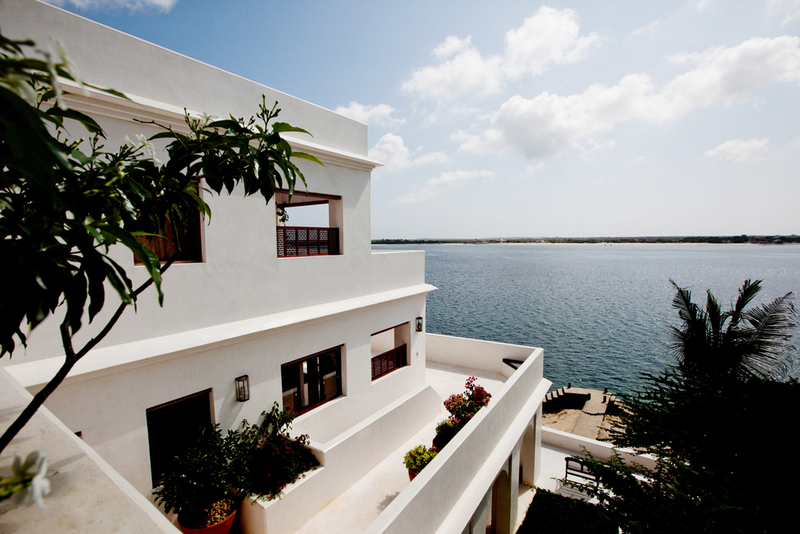 Located in the small town of Shela, about 2 miles from Lamu Town. 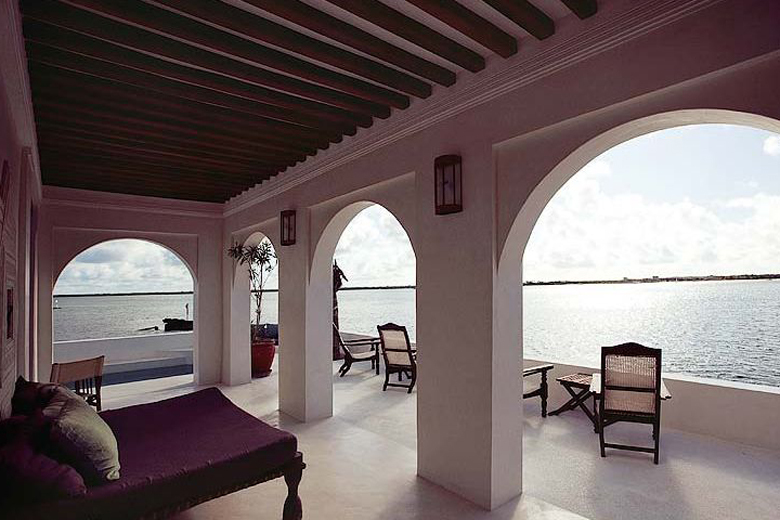 Lamu Island is just below the equator, about 470km southeast of Nairobi or 250km north of Mombassa. The coast facing the mainland to the north is covered with mangroves, while the 12km beach which extends from our house to the south-western tip of the island is uninhabited, and lined with coconut trees, bougainvillea, and dunes of pristine white sand. The easiest way to get there is to fly into the Manda airport, which is just a short boat-ride away. The entire house starts at $680/night and $4800/week in low season, up to $820/night and $5700/week in standard season. The village of Shela is located right behind the house and has great markets and shops. 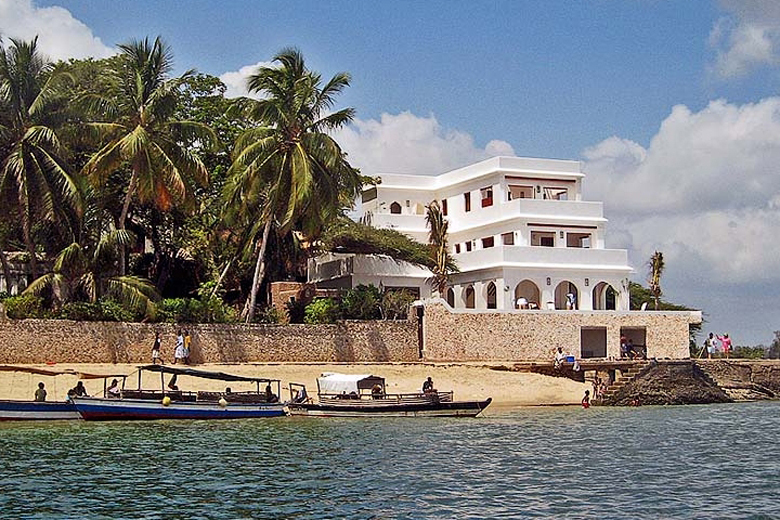 Both the town of Lamu and Shela has great cultural, historical and architectural interest. With no cars or motorbikes on the island, only donkeys are used for transport on Lamu Island. The beaches are ocean are great for kite-surfing, snorkeling, diving, fishing and sailing. The island has tons of wildlife - from watching baby turtles hatch, to swimming with the dolphins and watching the humpback and blue whales.